Although the U.S. Army Corps of Engineers has yet to secure funding for its planned $1 billion restoration of the Los Angeles River, projects along the waterway's banks are sprouting up regularly, including parks, cafes, trails, and even new buildings. The latest, reported KCET, is the Elysian Valley Marsh Park, a three-acre landscape expansion on what was once an auto body complex in LA's Elysian Valley neighborhood. 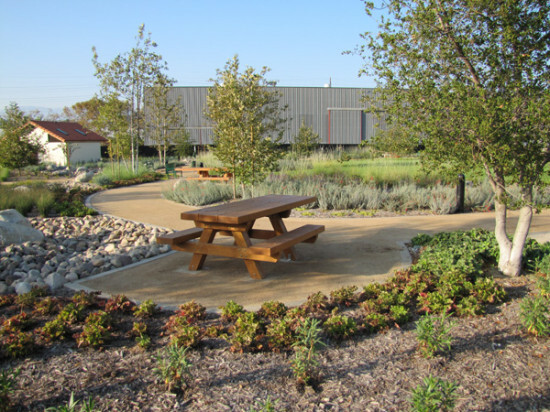 Designed by Melendrez, the $4 million, 3-acre project includes native (and drought-tolerant) plants and landscaping, filtering bioswales, a meadow, fitness facilities, and a 200-person Spanish mission-style picnic pavilion by ERW Design. The idea was to provide gathering, learning, and play areas, and to "bring some nature back into the city," Melendrez Principal Melani Smith told AN. Via large entryways the meandering facility is designed to connect users to both the river and to the river bike path. It's also the first park on the river with amenities like restrooms, drinking fountains, bike racks, parking, and picnic benches. "It's an iconic area. A centerpiece space for the river," said Smith. Initiated by the Mountains Recreation and Conservation Authority, the park was funded via Prop A, Prop 84, IRWNP state grants, and more grants from the Santa Monica Mountains Conservancy, the Statewide Park Development and Community Revitalization Program, and Council District 13. Below are some more additions to the fast-growing LA River landscape, brought about through private, non-profit, local, state, and even federal initiatives. While they're happening in piecemeal fashion (often when funding is secured), these projects are starting to create a sense of place along the river. The parallel goal, pointed out Maria Comacho of the LA River Revitalization Corporation (created via the LA River Revitalization Master Plan to work with the many entities involved with the river), is to unite all the projects into a linear park and "make sure these projects are accessible and connected." The Corporation's Greenway 2020 program, which Comacho directs, hopes to connect all 51 miles of the river by 2020. 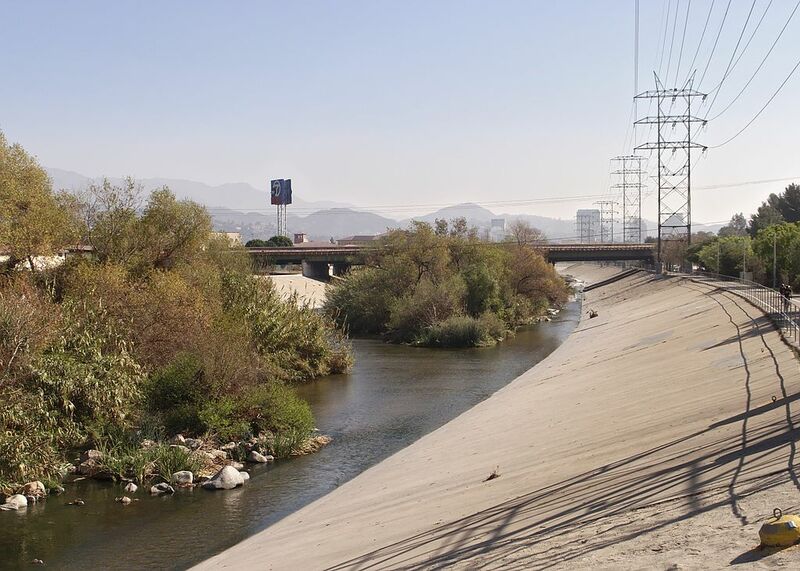 The recently passed LA River Improvement Overlay (PDF) will provide more guidance for projects moving ahead. "We have to think about how these pieces all fit together," said Melendrez's Smith, who acknowledges the challenge of unity along a river with so many contributors flowing through so many jurisdictions. "Not many people have articulated how many moving pieces there are on the river," agreed Mary Nemick, spokesperson for LA's Bureau of Engineering . "It all has to fit together and serve the community."